Is ruby red in colour and beautifully clear with a robust, full-flavoured malt and fruit nature. 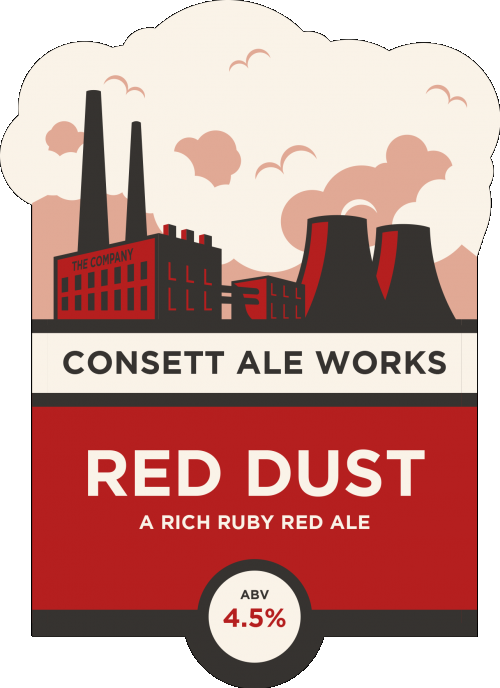 Red Dust, takes its name from the cloud of Iron Oxide, emitted when the Steelworks were in production. In times now long gone, there were red clouds of the dust that would hang over the town, settling on cars and washing hung out to dry! The air in Consett maybe somewhat cleaner now, but the memory remains for many, and lives on in this beer!